EDINBURG — County leaders continue to iron out details to make sure the “controlled chaos” associated with the courthouse construction project runs as smoothly as possible. 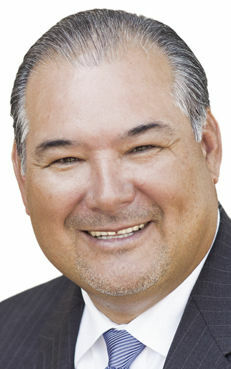 Hidalgo County Clerk Arturo Guajardo Jr. announced Tuesday that a large portion of his department is moving about a block-and-a-half north of the courthouse once construction begins at the current facility in September. The Vital and Official Records department — which handles birth records, marriage certificates and property deed records — will move to the “old Robert Chevrolet building” located at 317 N. Closner Blvd., Guajardo said during commissioners court Tuesday. That department alone provides a majority of the foot traffic for the courthouse, he said, adding that last year, more than 169,000 people went through those doors. The re-location is expected to have a minimal cost impact to the county. “The only anticipated expense we’re going to have is the communication line,” Guajardo said, adding the department is keeping and moving all of its current furniture. The county clerk also urged county leaders to begin looking at issues regarding logistics and parking. “We need to also start thinking about other things like the jury pool … that’s a lot of people coming into the courthouse — just start thinking about the controlled chaos,” he said. Brian A. McIntyre, of Jacobs Project Management, said his office submitted a parking study to the county Tuesday morning. County leaders, however, had not yet reviewed it. McIntyre also updated the commissioners about the project’s progress, which is nearing the end of the design development phase. The key user groups, which provide input on individual spaces, continue to review the plans, while the steering committee, which is a much larger group, continues to focus on the building’s interior and exterior look, McIntyre said. About 50 courthouse staffers, including 13 county court-at-law and district court judges, attended a tour of a courtroom mockup last week at the Palmer Pavilion in McAllen, where they were able to see exactly what the new courtrooms will look like. McIntyre was aware of the judges’ suggestion to switch the current location of the witness stand with an area designed for a clerk, he said, adding he would provide judges a second design so that they could evaluate the other option. However, there isn’t enough time to reconstruct a second mockup, he told commissioners. “It’s just switching spaces, isn’t it,” Cantu asked. The good thing, he said, was that the judges were able to identify the potential change early on as a result of the courtroom mockup. “The quicker we identify an issue, the cheaper it is to fix,” he said.